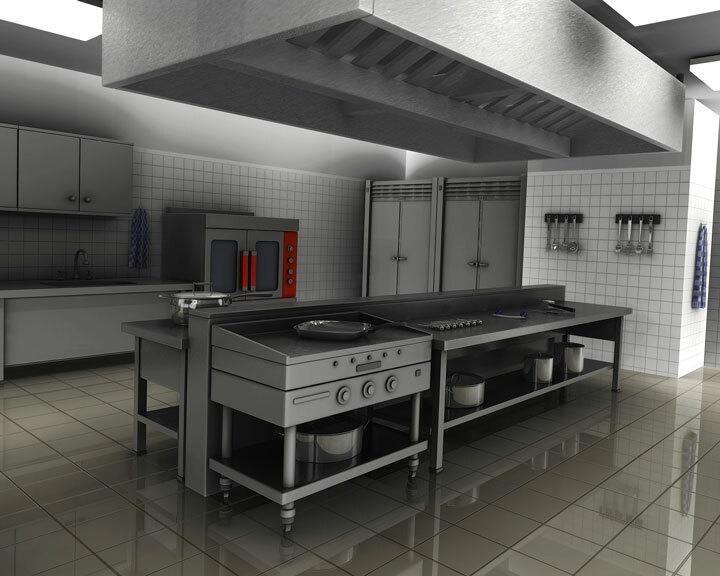 Stainless steel countertops are primarily installed in commercial kitchens. However, stainless steel countertops offer a clean, modern look for home countertops as well. As more homeowners choose commercial appliances, stainless steel countertops add the finishing pro-style touch. Their classic look always remains in style, and they coordinate with most cabinet styles, other types of countertop materials, and flooring as well. Their neutral tone surfaces reflect artificial and natural light and nearby colors, which can benefit a small, dark kitchen. Outdoor living areas are also using stainless steel countertops. They complement stainless steel barbecue equipment, and are being used for outdoor sinks as well. Stainless steel countertops are the perfect durable, weather-resistant surfaces for your patio or outdoor kitchen. Stainless steel countertops are custom built to your specifications, are usually formed in one piece, and commonly include an integrated sink and backsplash. Stainless steel can even be used to cover an entire wall behind a countertop. Edges may be fabricated in angled, bull-nosed, beveled, or marine no-drip profiles. A 1-1/2 inch edge is standard. 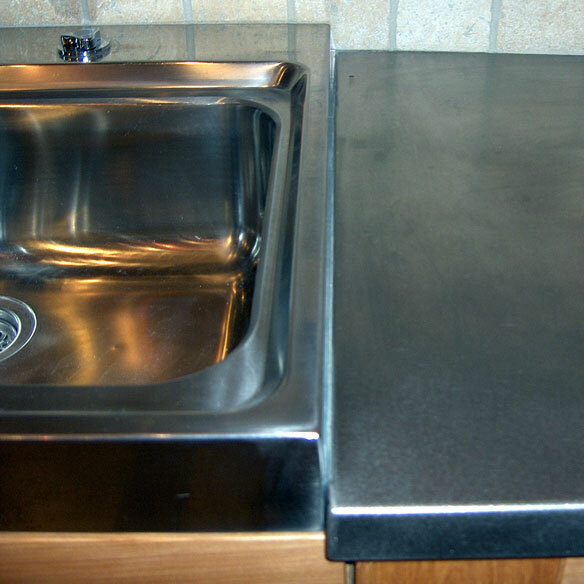 Residential stainless steel countertops are usually made from 14 or 16 gauge stainless steel sheets. Industrial or commercial applications might use 12 or 14 gauge sheets. The metal is fabricated from a template and mounted to a substrate such as plywood. This substrate helps prevent denting and excessive noise. Joints on stainless steel countertops are welded, ground, and polished. A satin or patterned finish can hide fingerprints and any scratches that eventually form. If you want another countertop material for most of your kitchen, use stainless steel for just a section of countertop near a cooktop. Hot pots and pans will not damage it. 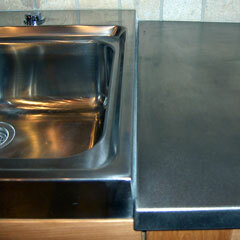 Maintain stainless steel countertops by frequently cleaning them with mild detergent and water. Rinse them with water and wipe them dry. Do not use bleach on these countertop surfaces. 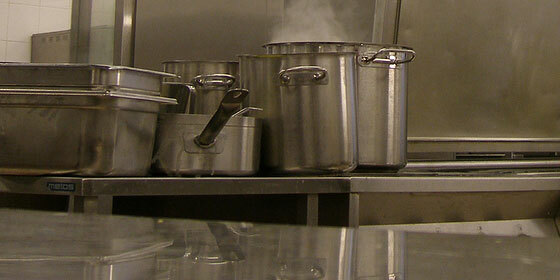 Stainless steel is an antibacterial surface. 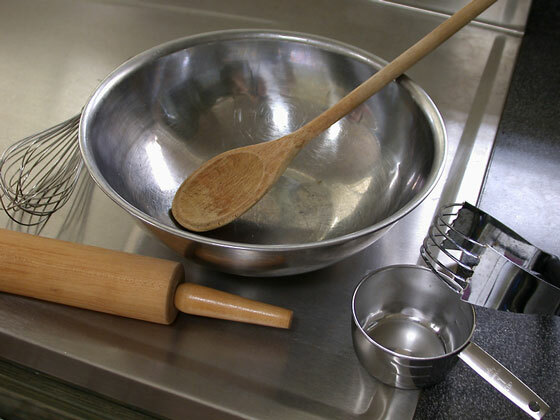 However, acid foods will stain if left on a stainless steel surface. Wipe them off quickly. Use a cutting board or build in a chopping block for part of the countertop to keep cut marks to a minimum and to keep your knives from becoming dull. The representative web sites listed below can help you select stainless steel countertops. Browse through the galleries of photos on some of these sites, and you will quickly come to appreciate these visually striking countertop surfaces. Frigo Design will build to order or design your stainless steel countertops. They can integrate stainless steel sinks and provide backsplashes, and they make it easy to order their products online. Specialty Stainless provides custom metal products, including stainless steel, copper, aluminum, and embossed metals. They offer custom stainless steel countertops and stainless steel cabinetry as well as integral stainless steel sinks and backsplashes. Man of Steel Designworx specializes in stainless steel countertops, cabinetry, and other custom designed items. They design products for residential kitchens, bathrooms, and outdoor settings as well as commercial railings, furniture, and store fixtures. Stainless Living provides stainless steel countertops as the consumer brand for Rigidized Metals Corporation. They also make stainless steel tiles for backsplashes, countertops, floors, and ceilings.